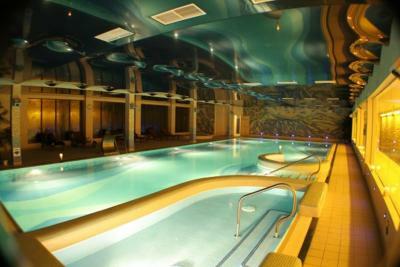 Lock in a great price for Falls Hotel & Spa – rated 8.5 by recent guests! The breakfast was fine, standard fare, but served in a really gorgeous location with a great view. The hotel clearly has some history and lovely grounds, but most of the hotel is more recent extensions and lets the rest of the location down. The front desk helped us with all sorts of little requests . The breakfast is sumptuous with a view of the falls. We had a soup for dinner that was outstanding and the service was sweet. The plus is that Ennistimon is a great place to visit! Location, views and atmosphere. Very clean rooms and quite. 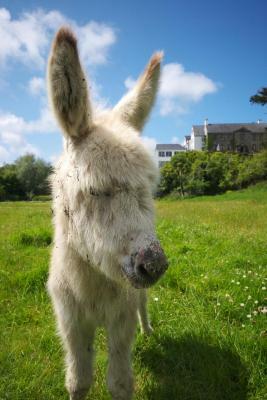 Beautiful location , near Cliffs of Moher . Staff were very welcoming & friendly . Breakfast was good . Music session at night which was going. Really enjoyed our stay there & wished we could have stayed longer . 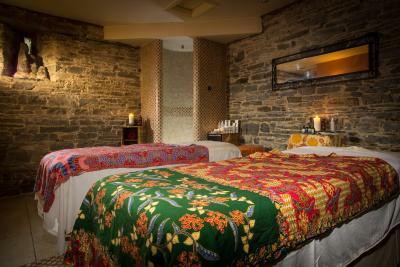 Friendly staff, spa was clean treatments were excellent had full body massage. Food in both bar and restaurant were perfect great value for standered of food. 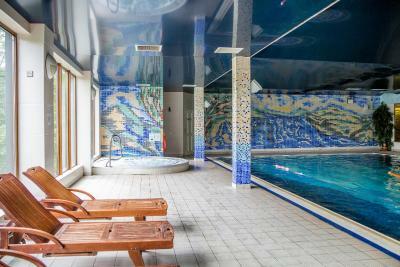 The pool for swimming was an amazing facility and it was in a fantastic location in a cute town of ennistmoyn. Great family place. The room was nice and clean with two large windows being a corner room. 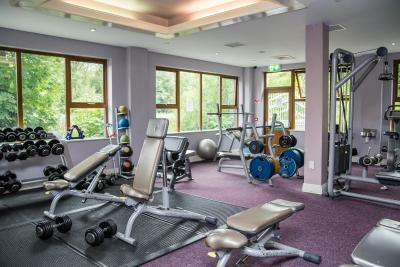 Falls Hotel & Spa This rating is a reflection of how the property compares to the industry standard when it comes to price, facilities and services available. It's based on a self-evaluation by the property. Use this rating to help choose your stay! 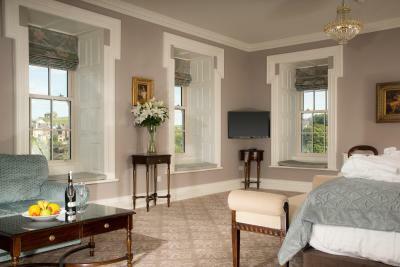 The spacious rooms at the Falls Hotel are decorated in warm colors and feature flat-screen TVs. Rooms have work desks and an extensive room service menu is available. 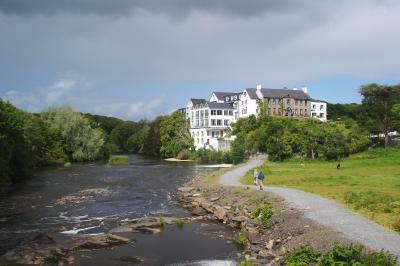 The modern and stylish Cascades Restaurant overlooks the river and serves traditional Irish and international food. Dylan Thomas Bar has a bar menu, a conservatory and memorabilia of the famous poet. 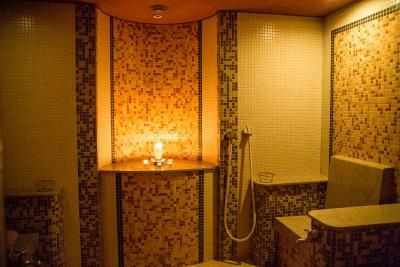 The Aqua & Fitness Room features a steam room and a sauna. 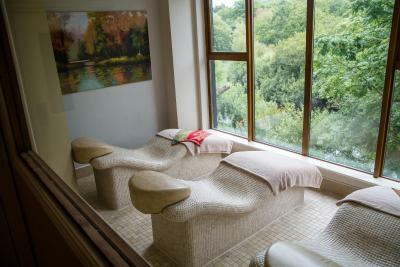 The River Spa offers a range of treatments, massages and body wraps. 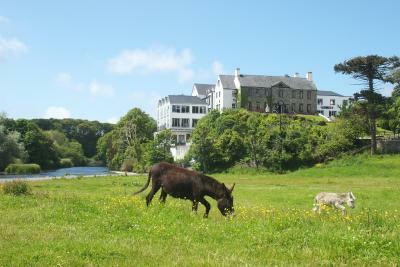 Perfect for walkers, the hotel is surrounded by 50 acres of woodlands. 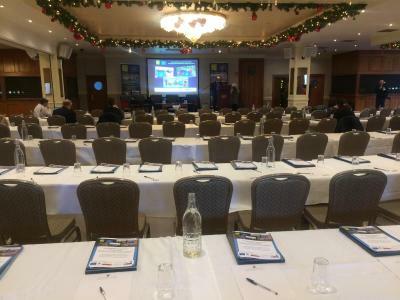 The Lahinch Championship Golf Course is a 5-minute drive from the hotel. Free parking is available. 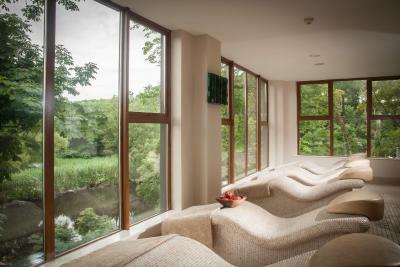 When would you like to stay at Falls Hotel & Spa? Features a 26'' flat-screen TV and direct dial phone. 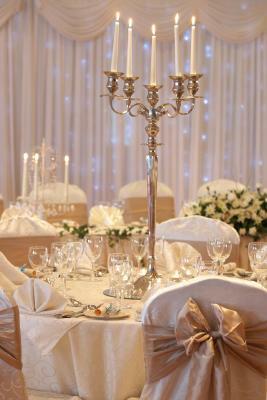 Tea and coffee making facilities are provided and an extensive room service menu is also available. A spacious room with a double and two single beds. 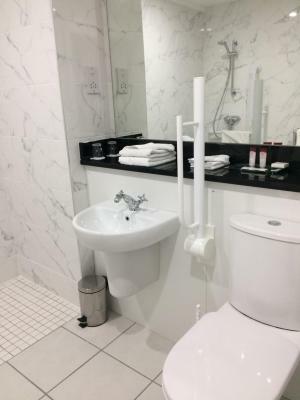 With an private bathroom, the room also has a flat-screen 26-inch LCD TV, a direct dial phone, tea and coffee making facilities and free access to the Aqua and Leisure Center. 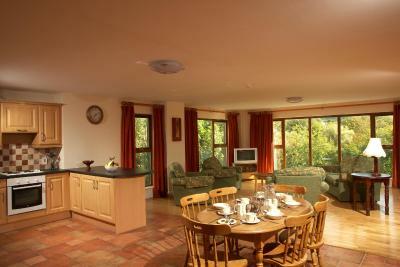 This suite features views of the Inagh River. 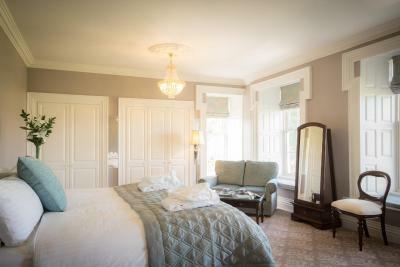 With a Georgian style, the suite offers plush carpets, rich silk blinds, ornate moldings, sash windows, opulent lounge furniture, a spacious private bathroom and a super king-size bed. There is also WiFi access, a safe, a mini fridge, tea and coffee making facilities, a flat-screen LCD TV, a direct dial telephone, a daily newspaper and slippers. 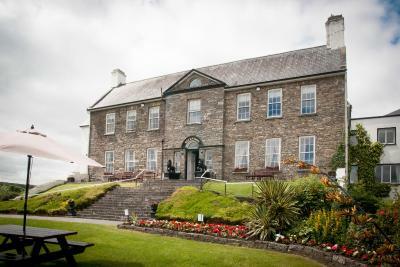 Falls Hotel is a homely property, which was originally build as part of the old castle by Sir Domhnall O’Brien about 1560, and later converted into a more modern Manor House in keeping with the enlightened and more settled times. The House was opened as a commercial property in 1936 by Francis MacNamara and his daughter Caitlin, married to the Welsh poet Dylan Thomas. 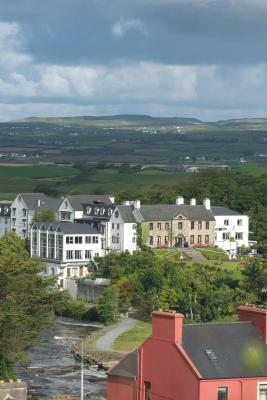 The hotel is located in the centre of the market town of Ennistymon. 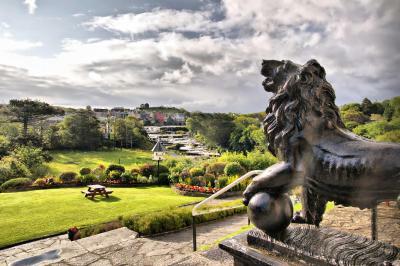 It is surrounded by picturesque gardens and has the River Inagh and its cascades running along the edge of the property. It is the ideal location for a relaxing break, family gathering, spa pampering or a lavish wedding. House Rules Falls Hotel & Spa takes special requests – add in the next step! Debit card Falls Hotel &amp; Spa accepts these cards and reserves the right to temporarily hold an amount prior to arrival. Falls Hotel & Spa accepts these cards and reserves the right to temporarily hold an amount prior to arrival. Breakfast ordered via room service leaflet never turned up despite the duty manager seeing it. Had to rearrange plans. Spoiled the otherwise nice stay. Spacious room. Spacious bathroom. Tasty food. Value for money. Room seemed very bare. I would love to see local artists work on the walls considering how creative & artistic the neighborhood is. Floors were dirty .. carpets in bedroom was dirty even after hoovering it ... carpets in lifts were dirty .. I would have liked a more varied vegan breakfast, with some sausages! I surprised my friend for her 35th Birthday. We stayed one night (Friday to Saturday). Arrived after 4pm and the room was still not ready. BUT that does not matter. 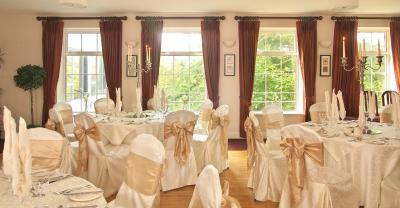 The room was lovely, overlooking the river. Cozy and clean. Prior to arrival I ordered a dessert plate for the room and it was super yummy. Worth every penny. 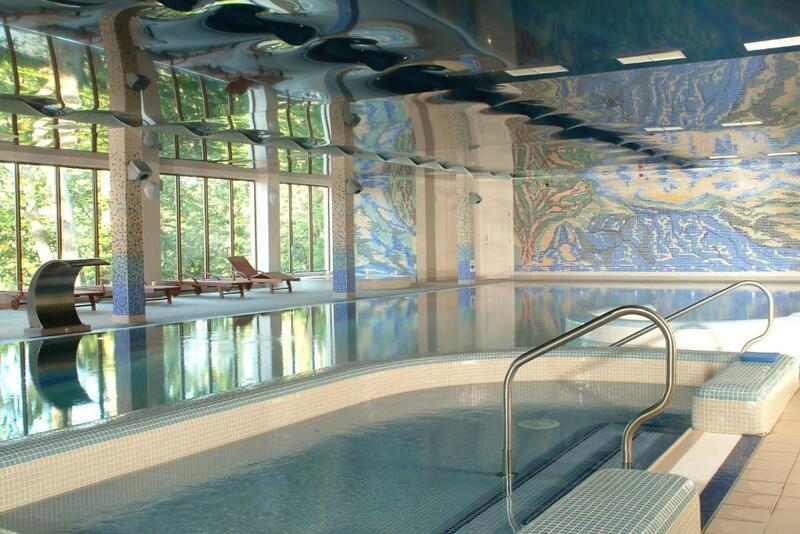 There is a small gym and very beautiful swimming pool. Breakfast was very basic, but also vary tasty. Staff incredible- smiley and helpful. Especially Louise at the reception- she was the best. :-) Thank you so much to everyone- we had a great stay and will definitely be back one day. If you like super modern, luxury hotels- this is not for you. If you appreciate the beauty of history and a place that feels like your grandmothers house- this is definitely for you. Staff were lovely , very clean hotel. Good food. And spa was lovely. 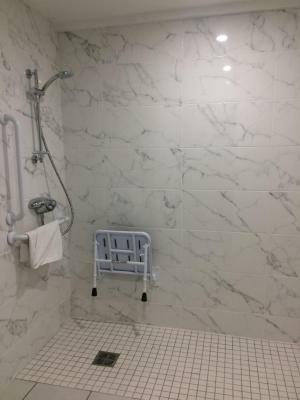 Hotel is usually of a better standard. Lighting in room was poor, triple room only set up for two with towels, cups etc. Room was cold heating not on. Everything else. Great spacious rooms. Nice bar. Great location and view of waterfall. Very helpful staff. 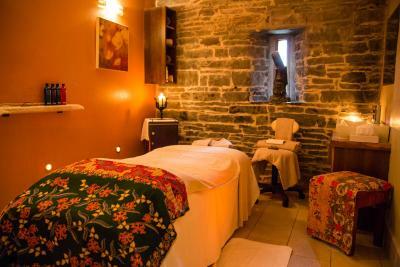 I like the atmosphere and proximity to Ennistymon town centre.